In almost every organization, executives and even technology professionals are increasingly being made accountable for the mountains of data that exist in databases, file systems, and other repositories. 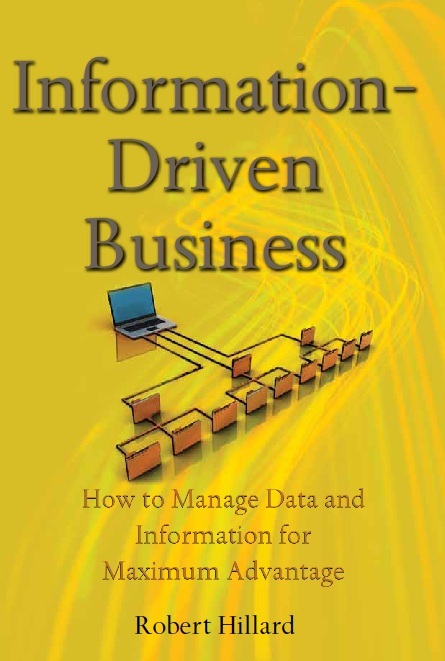 Information-Driven Business helps your business become information-centric and attain significant benefits as a result. How wisely or poorly your organization manages its information will drive its success or failure. Realize the greatest possible value for your business with the solid guidance found in Information-Driven Business. Its easy-to-apply techniques show you how to pragmatically apply it to real business problems, with practically instant results.